Calgary is a big town in the middle of nowhere. During the weekdays, Downtown Calgary is busiest as most Calgarians work there. It is the complete opposite on the weekends; Downtown is dead empty with shops closing as early as 3pm. You can find some Calgarians chilling on 17th Ave SW on the weekends. The number of third wave coffee shops in metro areas is on the rise, everywhere. 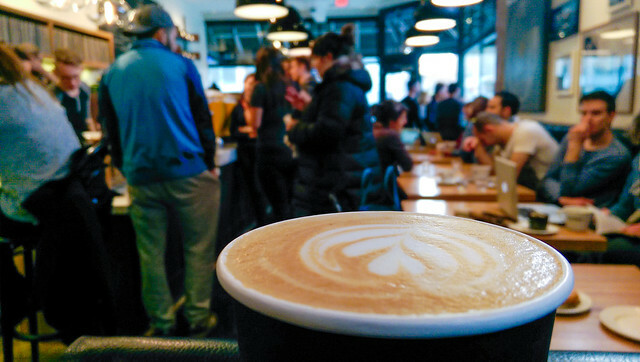 The coffee scene is well known in the big cities in the United States, but it’s still relatively new to Calgary. 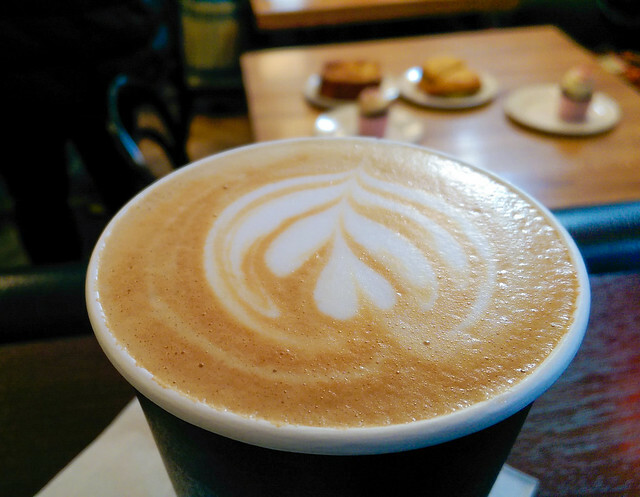 Thanks to Fratello Coffee Roasters, you can now get good quality coffee at Analog Coffee! My cousins, the sister, and I grabbed coffee after brunch, and the shop was already crowded at 2:30pm! 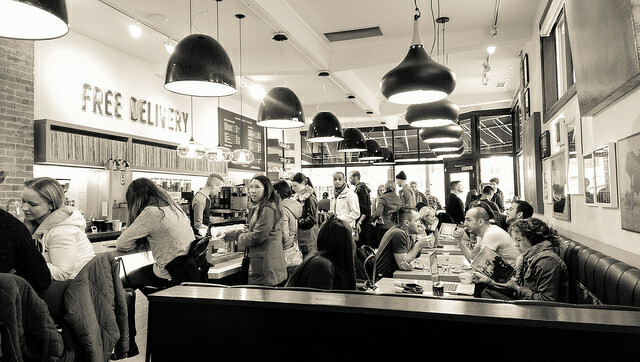 Analog Coffee brings you back to the analog era with its quirky interior. There was a collection of vinyl records on the wall behind the baristas. I ordered a cappuccino, while my sister and cousins ordered a chai or mocha. 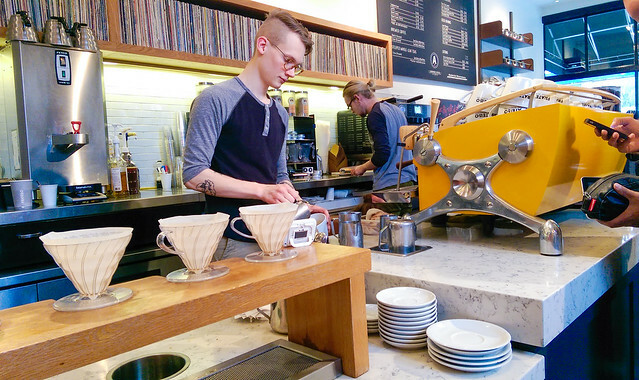 If you’re in Calgary, I highly recommend checking out Analog Coffee! This shop is also #7 on Buzzfeed’s 25 Coffee Shops Around The World You Have To See Before You Die.